Wed., 16 Oct. - Fri., 8 Nov. Mon., 22 Jul. - Sat., 10 Aug. Mon., 10 Jun. - Sat., 29 Jun. Sun., 12 May - Fri., 14 Jun. Wed., 24 Apr. - Wed., 24 Apr. Fri., 19 Apr. - Mon., 22 Apr. Fri., 19 Apr. - Sun., 21 Apr. 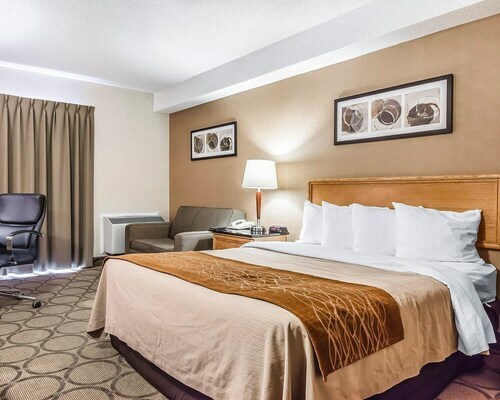 This family-friendly Saguenay hotel is located near the airport, within a 15-minute walk of Place du Royaume and Saguenay River. River Mill Park and University of Quebec in Chicoutimi are also within 1 mi (2 km). 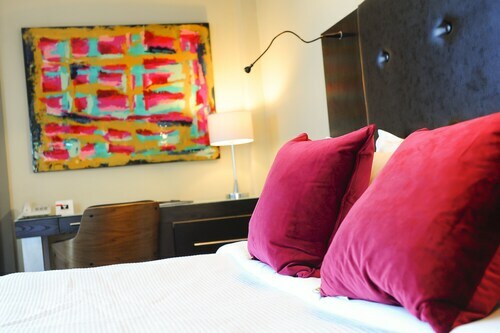 Located in Chicoutimi, this family-friendly Saguenay hotel is within a 10-minute walk of Saguenay River and Place du Royaume. River Mill Park and University of Quebec in Chicoutimi are also within 1 mi (2 km). 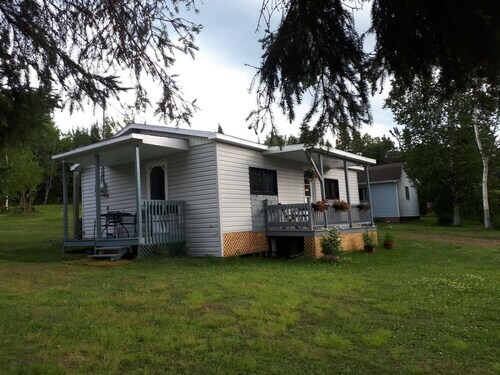 Located in La Baie, this golf chalet is within 6 mi (10 km) of Theatre du Palais Municipal, Club De Golf Port Alfred, and Saguenay River. Passe a Saumons de la Riviere-a-Mars and Paroisse St-Alphonse are also within 6 mi (10 km). Located in Chicoutimi, this hotel is within 1 mi (2 km) of Place du Royaume, Saguenay River, and River Mill Park. Centre Georges-Vezina and University of Quebec in Chicoutimi are also within 2 mi (3 km). 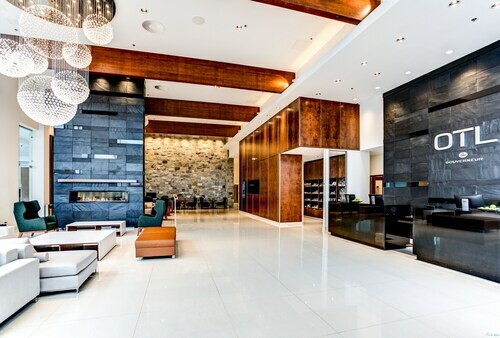 Located in Chicoutimi, this eco-friendly hotel is within 2 mi (3 km) of River Mill Park, Centre Georges-Vezina, and University of Quebec in Chicoutimi. Petite Maison Blanche Museum and Theatre Banque Nationale are also within 3 mi (5 km). Located in La Baie, this hotel is within 1 mi (2 km) of Saguenay River and Paroisse St-Alphonse. Theatre du Palais Municipal and Club De Golf Port Alfred are also within 2 mi (3 km). Located in Chicoutimi, this golf hotel is steps from Saguenay River and Cathedrale Saint-Francois-Xavier. Zone Portuaire and Historical Centre of the Sisters of the Good Counsel of Chicoutimi are also within 10 minutes. 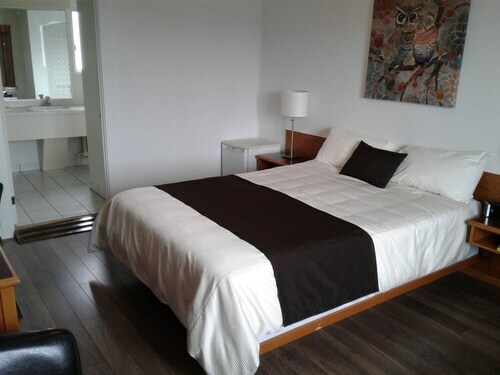 Located in Chicoutimi, this motel is within 1 mi (2 km) of Saguenay River, Historical Centre of the Sisters of the Good Counsel of Chicoutimi, and Zone Portuaire. Cathedrale Saint-Francois-Xavier and Club de Golf Le Ricochet are also within 1 mi (2 km).